For a pet owner, it is hard to see your beloved dog or cat struggle with stressful and scary situations. Feeling nervous is uncomfortable for anyone. If possible, help your pet avoid triggers that cause this behaviour. Behaviour modification methods can resolve the pet’s fear. It might take time, but the result can be very rewarding. 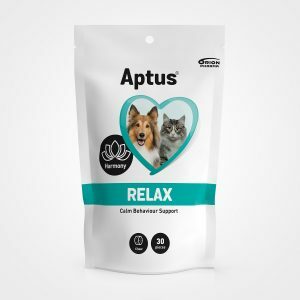 Meanwhile, also try our calm behaviour supporting chews for dogs and cats. The proven natural ingredients can help your pet feel more relaxed and comfortable.